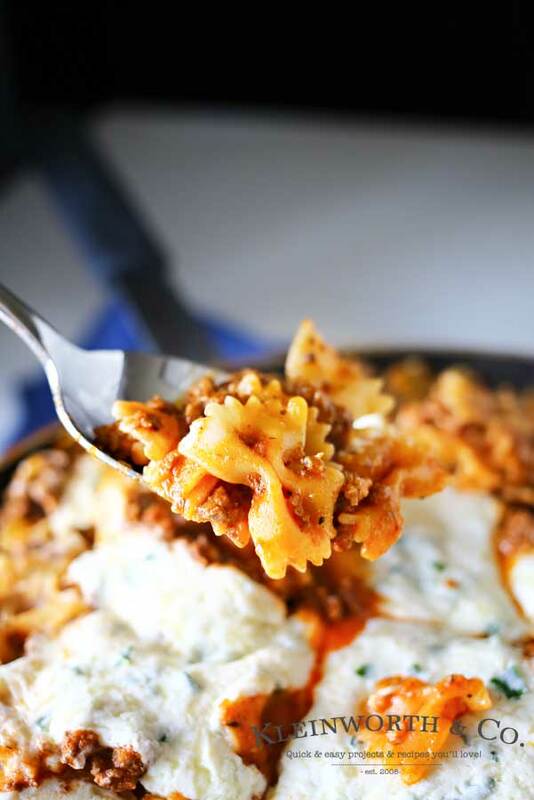 Easy family dinner ideas just got a little more delicious with this Skillet Lasagna. 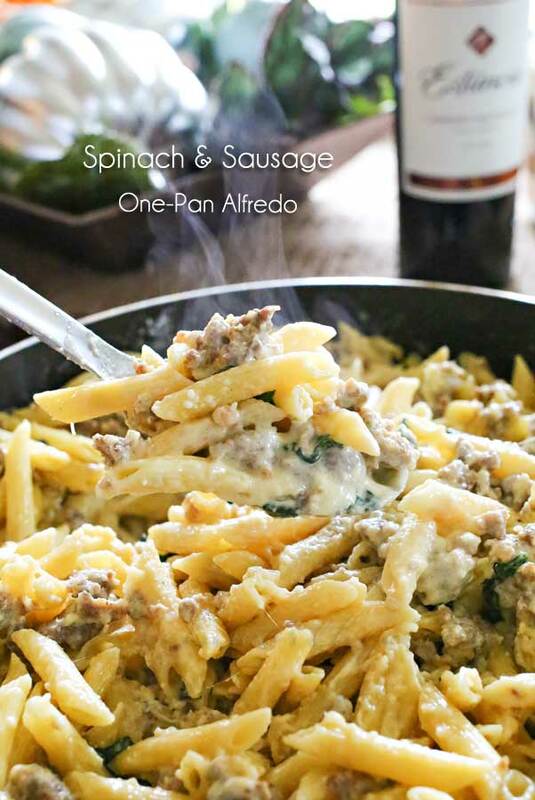 It’s an all in one skillet dinner that you will make again & again. Have you made one pan dinner recipes before? We sort of jumped in to it when the hubs was home with me more back in the summer. It was great because he would work for a while & then make dinner around lunch time. I could stay up here working in the studio while he cooked & I could break for a few minutes to enjoy a DELICIOUS meal. (Not before photographing it of course.) Sometimes the smell would be too much & I would wander down to the kitchen & find myself helping with chopping & other prep. I love cooking with the hubs, it’s sort of our thing we do together. So especially now that he’s away for work so often, it’s good when we can find time to cook & make AMAZING dishes like this one. It doesn’t have be complicated to be insanely good! I love that simple recipes like one skillet dinners are great year round. They make for some hearty comfort food in the cold winter months & easy no-oven dishes in the summer when it’s just too hot to cook anything big. They really are so versatile & EASY, did I mention easy? We’re talking 30 minutes for most recipes. Really – 30 minute meals are where it’s at. 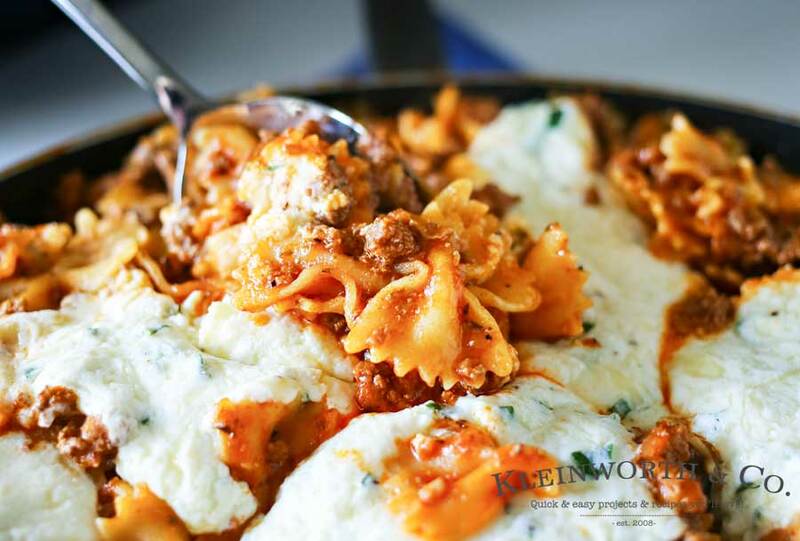 If you love lasagna – this definitely simplifies it for a quick dinner option. 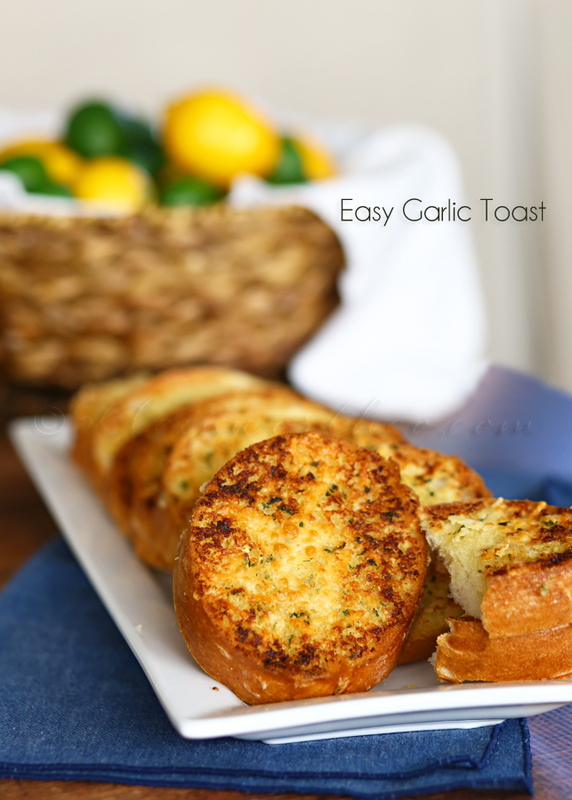 We like to pair this with my easy garlic toast – perfection! 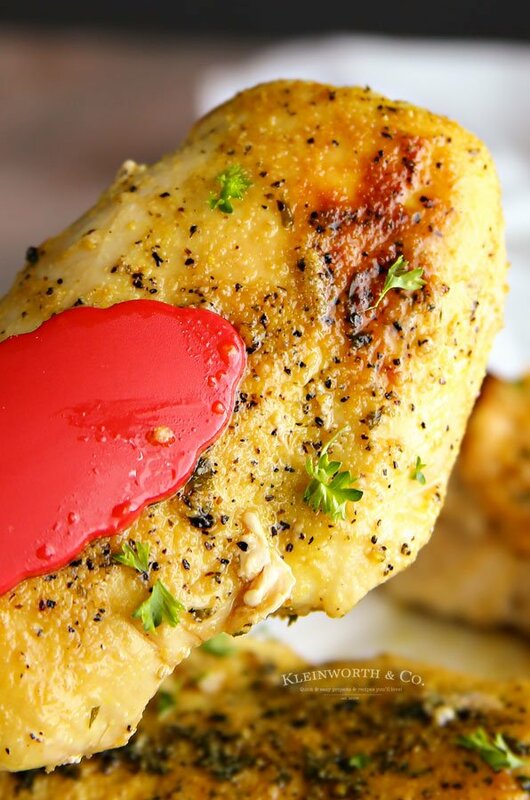 If you love easy, simple & OH SO GOOD – this will be your new favorite dinner! *This post contains affiliate links. If you purchase something from a link shown here, it helps to maintain the free content that I share. 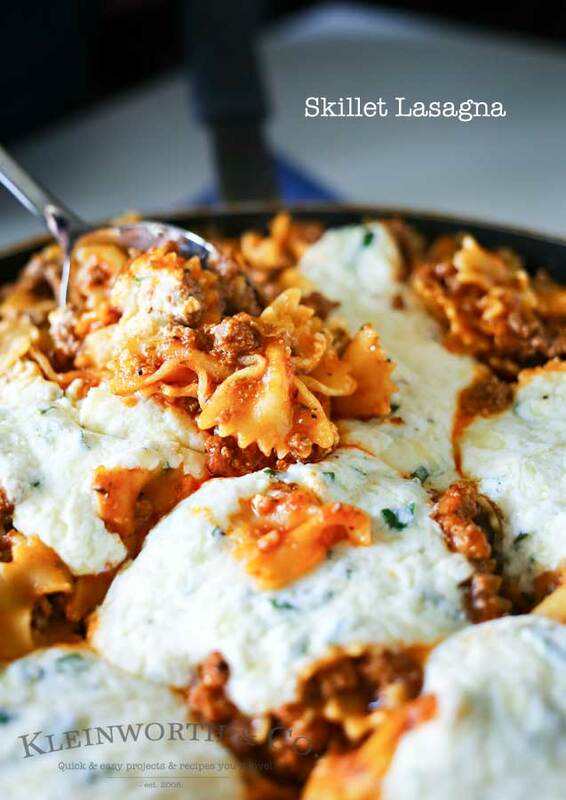 Looking for more easy family dinner ideas like this Skillet Lasagna? 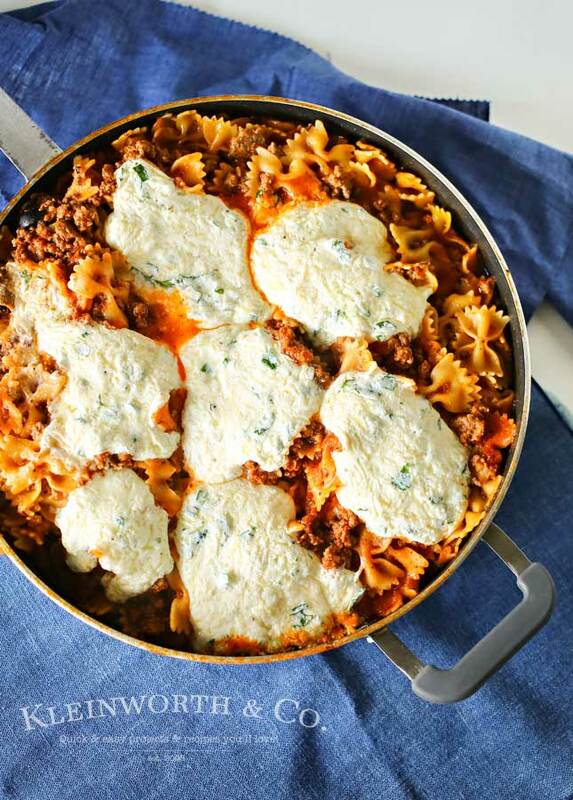 Easy family dinner ideas just got a little more delicious with this Skillet Lasagna. 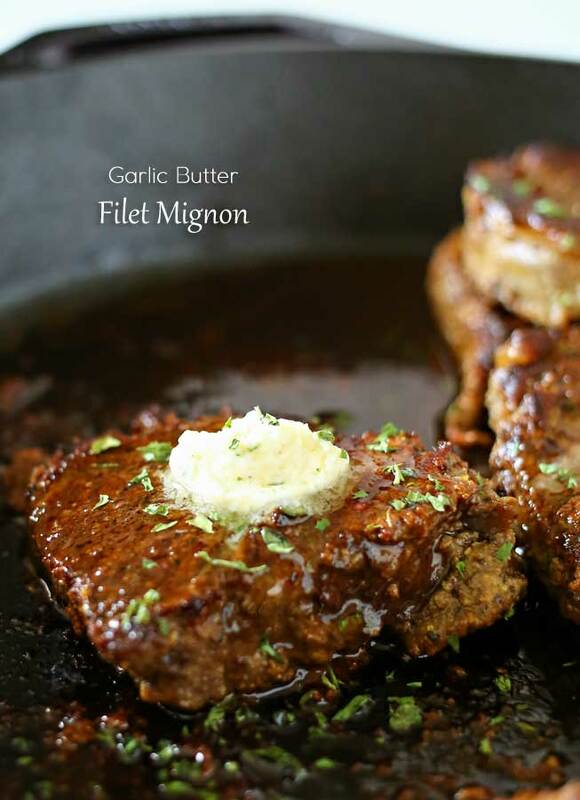 It's an all in one skillet dinner that you will make again & again. 5 Great Ways to Speed Up Dinner Series! Get 5 Great Ways to Speed Up Dinner Series! 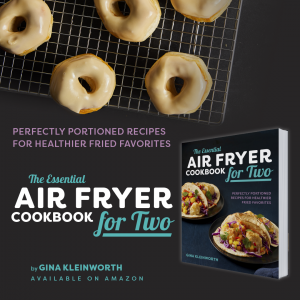 + NEW RECIPES & CREATIVE IDEAS DELIVERED RIGHT TO YOUR INBOX! ALSO -subscribers receive exclusive 15% off all eProducts! You have the best ideas on how to make classics even better! This looks like a keeper recipe. 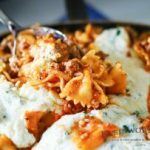 I’ve made a pretty mean lasagna the long way but this lookd just as good and easy to make. A plus when days are busy, busy. Thanks for sharing and we will try this soon !!! Oh my word…Gina…you ALWAYS make me hungry! This looks absolutely wonderful! I love dishes like this! Comfort and ease! 5 Great Ways to Speed Up Dinner!